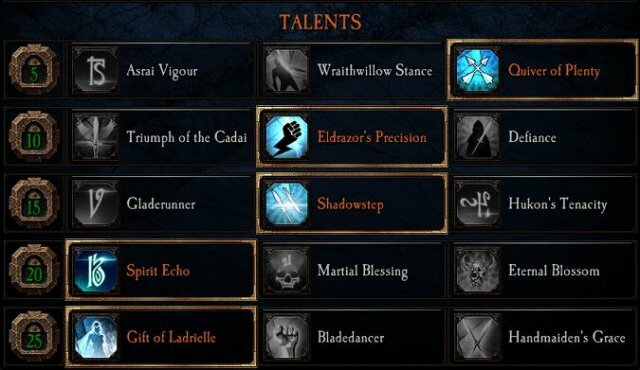 A Guide for 2-Hander Handmaiden on Legend difficulty. I like my attack speed. For the second trait, more crit is always welcome. You could also run a defensive option like Block Cost Reduction/stamina here. For the Trait, you want Swift-slaying. Period. (Like just about anything else, lol). 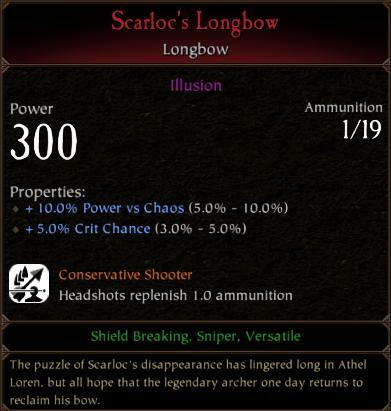 I use the longbow, as I dont think any of the other options really benefit handmaiden in the least. You will already have fantastic horde clear dashing around like a maniac with your big sword, so hagbane isnt really all that helpful, and shortbow... shortbow is just bad. On my bow I run + vs. Chaos, and + Crit Chance. Taking vs., Chaos can help with taking down Chaos Warrios, as well as allowing you to 1-shot headshot marauders with the quick shot, but it isnt all that huge of a deal. Taking crit chance is nice because sometimes you dont always nail your headshots, and a crit will allow for some forgiveness. For my trait I've been rolling with Conservative Shooter, because free headshots is always nice. This ones pretty much preference, and open for experimentation. (Havent tried it with Hunter/Barrage, could make for some new breakpoints). This ones gonna be basically down to preference. 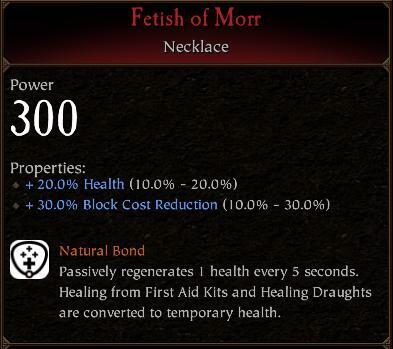 On my necklace, I like to run + Health, and + Block Cost Reduction (arguably the best defensive stat in the game). As handmaiden you should generally be the last to go down, so I just run natural bond and leave healing supplies for my teammates. Can run whatever though. 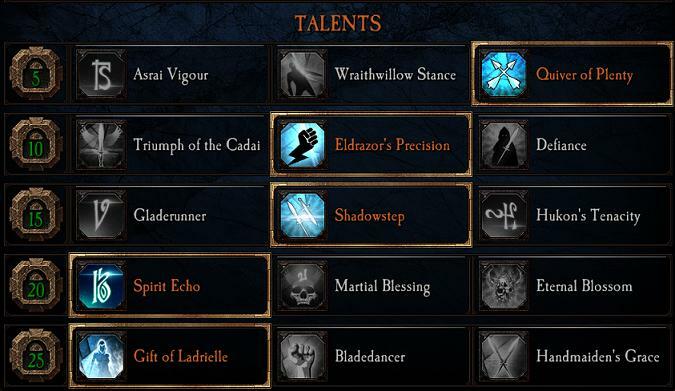 I like taking as much attack speed as possible, since you will be sacrificing 5% in talents, so any bit helps to make up for that. For the second, vs. Armour will alow you to 2-shot bodyshot stormvermin, in case you miss the headshot (also nice for backstabbing shieldvermin) You could swap that for vs. Skaven for the same result, but vs armoured will buff your damage to Chaos Warriors as well. 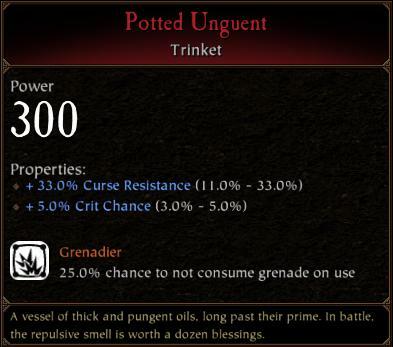 Pretty standard, Curse Resistance to keep your hp up for full book runs (so you dont run the risk of getting 1 shot), and Crit chance = more Swift-slaying procs. Not so important. I take Quiver of Plenty, because I feel like every time I dont use it, I find myself out of ammo in the worst situations... But if you are better at managing your ammo than I, and dont feel you need it, the extra stamina from Asrai Vigour is a pretty decent defensive option. Eldrazor's Precision. IMPORTANT. This is pivotal to the build, and is what gives handmaiden a leg up for easily reaching breakpoints. You do sacrifice some attack speed, but it is easily made up for in your weapon/charm properties. Anything here is a decent option, so take your pick. I find the extra dodge range works wonders for kiting bosses, dodging overheads, and dodge dancing hordes. The extra stamina regen is pretty fantastic too, and can be a great boon to your allies. Movement speed I guess, if you want to be 'that one elf'. Spirit Echo. 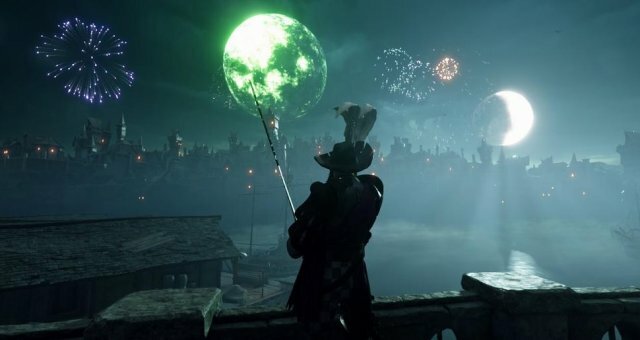 With how much your sword will be cleaving in hordes, you will be building tooons of temp, which helps for shrugging off the occaisonal hit those filthy lunge-rats sneak in. Gift of Ladrielle. Easily the best 25 option for handmaiden, the stealth is just so incredibly helpful in a variety of situations, and provides tons of survivability. Push attack has notably increased crit chance, you can make use of this to get your swift-slaying procs started, then swing away. The stab can be charged and held indefinately, combo this with your dash for fly-by facestabs (takes some practice). The charged stab can be chained repeatedly with proper timing, bypassing the followup swipe. This is good for Boss DPS, taking out multiple stormvermin, as well as just following up in case you miss a headshot. Your class ability will one shot trash (slaves, zombies), extremely effective in hallways/chokepoints - line em up, and knock em down! When holding boss aggro for Ogres, and Spawns, walk towards them and chain face-stabs followed with a dodge. This baits out their slam attacks so they stay put. Easy face-stabs. Make good use of your stealth talent, it is extremely useful for getting safe revives, as well as giving you a few seconds to safely snipe specials with your longbow. Also know when not to use your dash, as you will drop aggro, thus forcing more onto your allies! Can be especially important to keep in mind when you have a boss + horde combo. When dealing with Chaos warriors, your Longbow is going to be your best damage (3 or so headshots, depending on crits) I find their hitboxes make for very unreliable face-stabs with the wsword, thus making for some lackluster dps.